Giuseppe Falco is in charge of the East Mediterranean region (Italy-Greece-Turkey) at The Boston Consulting Group. 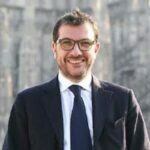 Throughout Giuseppe’s career at BCG, he has handled extensive transformations including strategies, business model innovations, turnarounds and digital transformations for large corporations, private and public institutions and family businesses in different regions including Europe, the Mediterranean and the Middle East. He also participated as a speaker at the Economic Forum Italy-Libya organized by the Italian Ministry of Foreign Affairs in Agrigento, in July 2017.